Annual world peaches export volumes reach a number of 20 million tons. Peach is an important product in the human diet, it has stunning taste and contains a lot of healthful vitamins and minerals. All people, without exception, love the taste of sweet peaches in summer, mainly take it to food in the fresh form. But there is a huge number of possible variations of using this fruits – it is made preserves, jams and juice. In summer, this product brings super profits for those who are engaged in peace wholesale, beautiful fresh fruit can be found on the table of every family. Peach belong to the Almonds subgenus and is a close relative to the almond tree. Peach contains about 50 kcal per 100 grams. 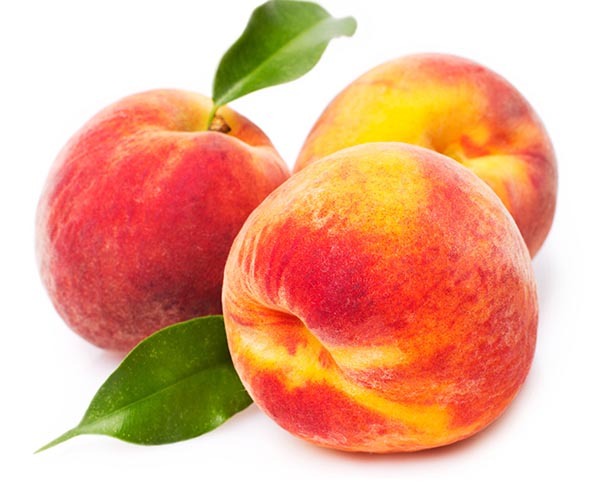 Peaches include many organic acids: tartaric, citric, malic. Also, this fruit contains many healthful minerals: iron, phosphor, manganese, zinc, magnesium and vitamins: C, E,K,PP, and B. At present, our company is engaged in peach wholesale of three varieties of this fruits. We offer fresh selective fruits for export and delivery for your business, provide trucks for transportation and make all document service. We make quality control and chemical analysis of all deliveries of peach we sell. Our fresh fruits have all necessary permits and certificates for the implementation in European and Asian countries. The most popular variety of peach. First was grown in USA. Fruits larger than average – weight – 160-200 grams. It has a rounded, flattened form. The flesh is orange and very juicy, has a very strong aroma. The fruit of this variety of peach grows average size. Approximate weight – 150 grams. The color yellow with a red blush. Flesh – yellow, sweet and firm. It has a mild flavor and very good taste. This variety was produced in the USA. Fruits are large – weighing up to 250 grams. The flesh is bright, yellow, juicy and soft. This variety has a strong flavor. The stone can be easily separated from the flesh. If you have questions about our products and services - get in touch with us! Our managers are online 24/7! Fresh Fruits Export Price List for 25th week of 2018. Fresh Fruits Export Price List for 23rd week of 2018. Fresh Vegetables Price List for Export. 19th week of 2018.